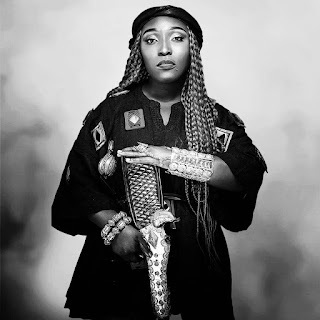 If you think there is any female rapper better than Eno Barony then listen to her new single titled ‘Fear No Man’ which was directed to fellow male rappers and VGMA board for not recognising her work. 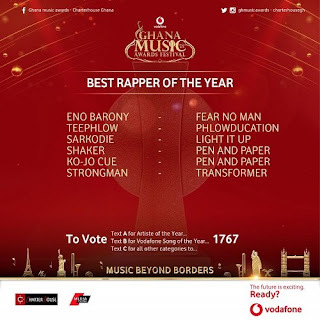 Well, Eno Barony, the Yaa Asantewaa of Rap music, made history as the first female rapper to be nominated for the ‘Best Rapper of the Year’ category at the VGMA. Yes, she made it! The rapper who recently released her “Yaa Asantewaa” album and calls herself the King of Queens! was nominated in the male-dominated category for the 19th Vodafone Ghana Music Awards which will take place on 14th April 2018 at the Accra International Conference Centre. The ‘Best Rapper of the Year’ category ever since its inception in 2010 has been dominated and won by male rappers.